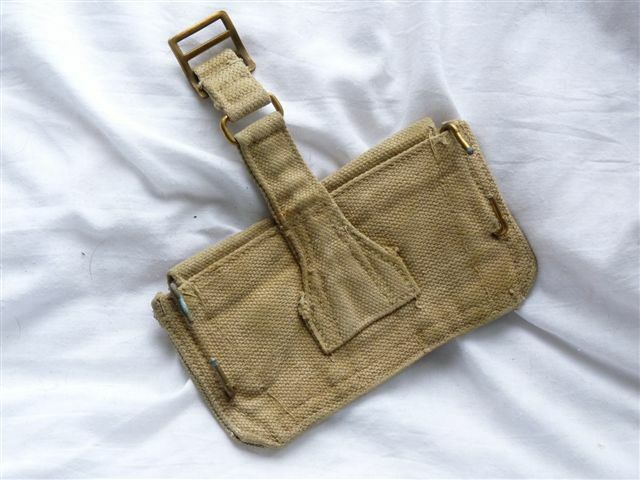 Pattern 1937 webbing ammunition pouches in good condition with perfect functioning poppers. Fits direct to webbing belt and shoulder straps, with no hanger for a holster. 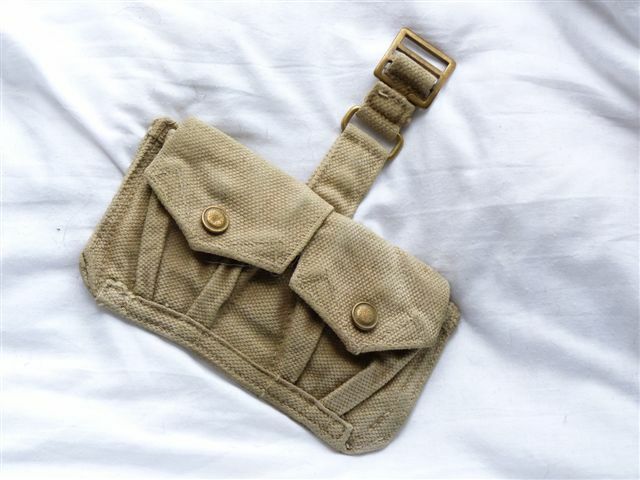 Each pouch has a divider inside, and holds 2 clips of 5 rounds of .303 ammunition, so 20 rounds total. 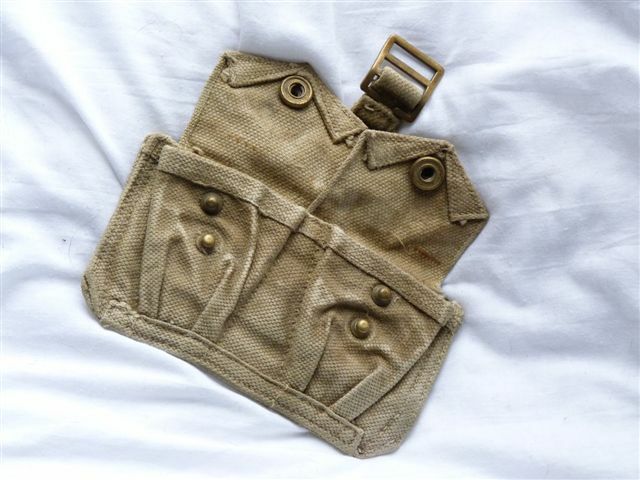 Some pouches are war dated and maker marked, and may have traces of green cammo over the khaki. Please note: This is only an example as we have several of them in similar good condition.